Your voluntary contributions will allow us to take our concerns directly to City Hall by supporting candidates and legislation that furthers the goals of professional musicians in Los Angeles. 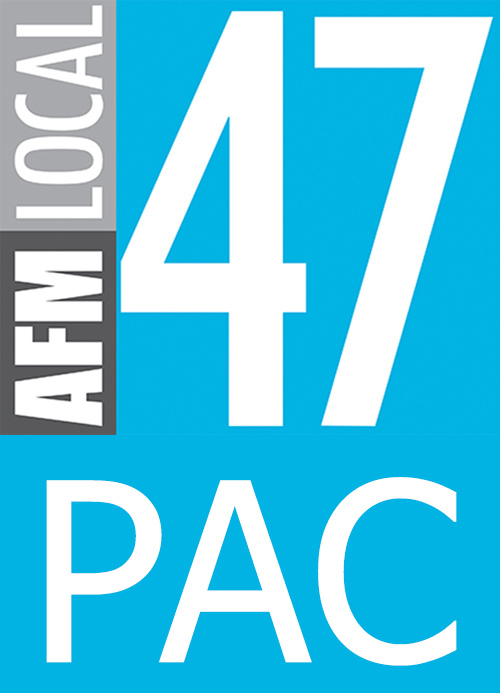 Check the “Local 47 PAC” box on your Dues Statement and write in your desired donation amount. Send a check payable to: “Local 47 PAC” 817 Vine St. Hollywood CA 90038. This entry was posted in All News, Events and tagged donate, Local 47 PAC, pac, political action fund on March 9, 2015 by admin.